More discovery in the George Zimmerman-Trayvon Martin case will be disclosed to the media on May 31. On June 1, Judge Lester will hold a hearing on the state's motion to seal and prevent public release of some of the discovery. Notice of the hearing was provided to lawyers for the media (order here) who have previously intervened in the case objecting to the state's withholding of information. The state's motion is here. George Zimmerman's lawyer, Mark O'Mara agrees with the state and is asking for at least 30 days to review the material before it is released so he can decide what objections to make. Included in the released discovery on May 15, was this list of categories of items it claimed to be exempt from public disclosure, with specific statutory citations. Now the state is seeking to seal some more items from public view, including some which it previously released, like the first 911 call in which the shot is clearly heard. Here is the state's justification for keeping George Zimmerman's statements sealed. Even though I think Florida's public records law is overbroad and that criminal discovery in general should not be provided to the media in advance of trial, given that the law is in effect, I have some issues with some of the state's requests. The state wants to keep secret the results of a test done on Zimmerman done by Officer William Ervin. It says the test may not be admissible as the science behind it hasn't been established. That's the voice stress test GZ took at the police station either the night of the shooting or the next day that he reportedly passed. (Obviously, he did pass, or the state wouldn't mind releasing it.) Is admissibility of the sought-to be discovered item determinative of whether information is subject to public records? I can see the policy argument behind sealing witness names, but not street addresses or location. This whole case revolves around who was in a position to see and hear what happened between George Zimmerman and Trayvon Martin. Some of the witnesses have repeatedly gone on TV to discuss what they now think they saw and heard, even though it differs from what they said originally. (Not surprisingly, these are not the witnesses with the best opportunity to hear or observe the most critical events.) If a witness goes on TV, or says in a police statement, she was 10 or 19 feet from the site of the shooting, shouldn't the media be allowed to refute that by showing the witness' true location? Still, since the request may be granted, I redid my map of the witness locations, leaving out the witness' names and addresses, and identifying them by witness number and location. W-18 is the former teacher who has given numerous statements to the media. W-5 and 16 are the roommates. W-14 and 15 are 13 year old Austin and his sister. W-1 and W-2 are sisters who didn't see anything. W-19 is a woman who was going to let her dog out and heard yells for help. Who are the other witnesses besides those on the map? W-8: Trayvon's phone friend Dee Dee. The state has her cell phone records as well as Trayvon Martins' but it wants to keep them sealed. W-9: A woman unrelated to the investigation who phoned in 2 days after the shooting to say how well she knew GZ and he had racial animus. The state released part of a later interview between W-9 and an officer Perkins, and it's reportedly his cousin. [Edited to reflect it's not his ex-fiance.] How can someone accuse another person of being a racist and demand her identity be shielded? I doubt she will be a witness since her information is not relevant to the murder charge (or even to profiling) and it was so long ago and has not been corroborated. W-22: A former co-worker from years ago who said GZ taunted him as being stupid and made fun of him in front of other co-workers, sometimes using the accent of a character in a cartoon show about terrorists (the man is middle-eastern but says he doesn't think that's the reason George picked on him, it was because he was new and George thought he was stupid.) Totally won't be witness. There are no witnesses designated 4 or 10. How come? Do they exist? They must have at one time. The other witnesses are listed by name, not number. George Zimmerman's father told police in his interview (initiated at Mr. Zimmerman's request) that he did not speak to GZ the night of the shooting, he spoke to GZ's wife. So when GZ voluntarily agreed to be interviewed that night, it wasn't after receiving advice from his father. Same for the stress test if it that night. Also according to Mr. Zimmerman, George went to the grocery store after dinner every Sunday night to get the groceries for the coming week. It had nothing to do with the neighborhood watch, but he was concerned about burglaries in the neighborhood. The daytime photos of the shooting scene and various houses at Twin Lakes were taken the day after the shooting by Crime Scene Tech Diana Smith. 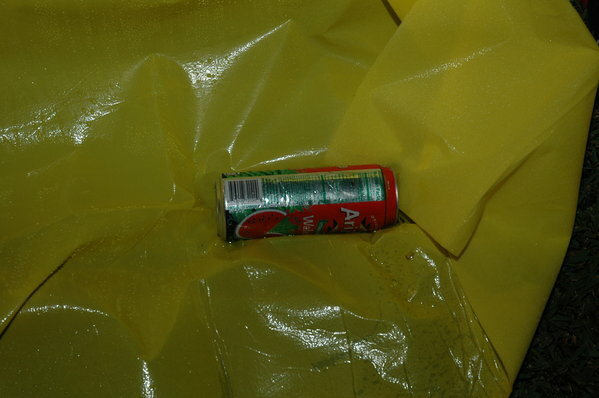 The Arizona Ice Tea can was initially found in the center pocket of Trayvon's sweatshirt. Trayvon Martin was wearing a dark gray hooded Fruit of the Loom sweatshirt with a light gray Nike sweatshirt (or lighter gray shirt with long sleeves) underneath. All the police reports refer to the hoodie as ME-8 and the lighter shirt as ME-12. (Here's a similar reference in Chris Serino's report.) But, the DNA and gun residue reports label the hoodie as ME-12 and the lighter shirt as ME-8. So it's not clear which results came from the hoodie and which from the lighter gray shirt or whether any of the testing can be considered reliable. My own question: Where's the report for the test results on the two swabs of blood evidence from the bag of skittles and the black flashlight? 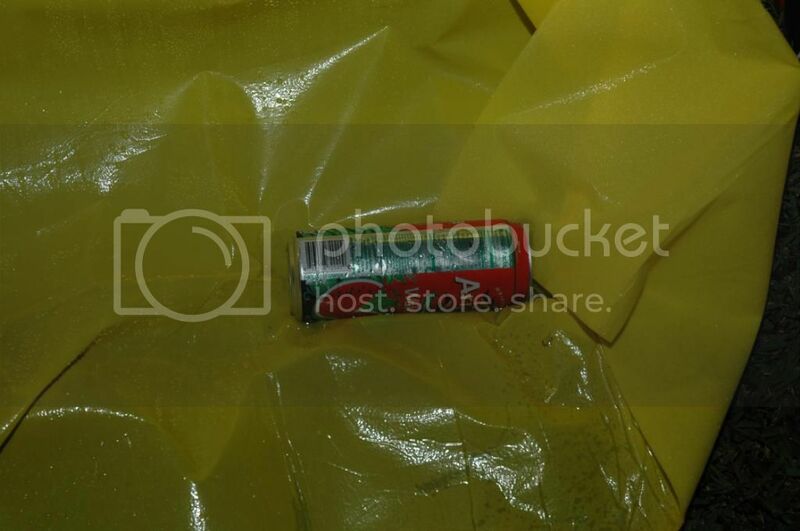 Serino's report says DSM-6 is the black flashlight found in the grass between buildings near marker #5, and DSM-10 contained the skittles (along with the photo button, lighter and headphones which he lists as found in Trayvon's pockets. And where were the headphones? In his pocket or on the grass? Some officers say the grass, others say his pocket. Was he even wearing headphones while talking to DeeDee or had he removed them and put them in his pocket? Unless the state has packed some good stuff in this next round of discovery, I'm not seeing much of a case. Most of the state's witnesses seem to help George Zimmerman's self-defense case, and the others don't hurt it. Please keep in mind that my goal here is to analyze the case in terms of what the state can and cannot prove. I am not trying to figure out what really happened. Trials are not designed to be a search for the truth. They are merely a process for the testing of evidence, to determine if the state can carry its burden by proof beyond a reasonable doubt. I'm thinking a list of the 911 callers might be useful. W-3: Second caller, 12 to 18 seconds before the gunshot. W-11: First caller, 7:16:11, 45 seconds before the gunshot. W-19: Woman who mentioned an 'elderly man' who lived nearby. I meant to try making such a list, but hadn't gotten around to it. I googled this a long time ago. It seems 'Arizona Iced Tea' is the name of the company, so all its beverages are called that regardless of flavor. Once I realized this, I didn't think it was worth posting about. Is what they call themselves. supposed to be a joke? Yes he purchased an Arizona Watermelon Juice Cocktail. The company makes dozens of juice drinks as well as Iced Tea. I have deleted your comments about his FB page and and your speculation this means something negative about his character or propensity for violence. You will have to take those comments to another site. What was on TM's Facebook or Twitter pages, or GZ's My Space page will not be discussed here unless one of the parties indicates they will seek to admit it as evidence. and understand your reasoning though I do think that numerous statements about GZ character associated with his role organizing the neighborhood watch program on your site were allowed to remain. Is it acceptable to discuss that TM asked the 7/11 clerk about buying blunts, which is a small cigar, and that he took about 50 minutes to walk back from the store? been established. You cannot hear in the 7-11 video what he said to the clerk. That is speculation by a website, not evidence, and it again is not relevant as I explained in comments to the post after this. I have corrected and warned commenters who posted misstatements about the Neighborhood Watch program and GZ's role in it. speculations, interviews, and interrogations, the question that screams out is, "did GZ, at any time, identify himself to TM, and if not, why not? Someone must have asked him that, presumably the police. Do we know if that's the case or not? I mean, the jury, if it gets that far, is going to have to make some determinations as the Z's frame of mind. Didn't GZ realize that a 17 year old might be terrified by an older man stalking/following him. What in God's name would keep him from trying to defuse the situation and identify himself. That's such a no-brainer, I'm baffled. is irrelevant to a determination of whether he acted in self-defense. The issue is whether his use of lethal force in response to Trayvon's attack on him was justified. Whether he might have said something that would have caused TM not to punch him in the nose has zero relevance to the legal issues. He doesn't have a duty to try and prevent Trayvon's punch. Even if his actions somehow provoked Martin into punching him, his only duty would be to respond with less than lethal force, if possible. The issue is whether Zimmerman, reasonably feared imminent serious bodily injury after Trayon attacked him. The test is whether a reasonable person in GZ's situation, having been punched and/or beaten by Trayvon, would have feared serious bodily injury. If Zimmerman did not provoke Martin's use of force, then he was justified in using lethal force in response without any duty to consider or use less force. "3) A person who is not engaged in an unlawful activity and who is attacked in any other place where he or she has a right to be has no duty to retreat and has the right to stand his or her ground and meet force with force, including deadly force if he or she reasonably believes it is necessary to do so to prevent death or great bodily harm to himself or herself or another or to prevent the commission of a forcible felony". This is self contradictory. If force becomes necessary to prevent death or great bodily harm, then it is implied that retreating won't prevent it. Maybe the person who wrote the law meant to say that if you are not doing anything illegal you have the choice of retreating or standing your ground and using deadly force in order to prevent great bodily harm to yourself. IRRC, these laws were passed because prosecutors were charging those what were not deemed to have retreated when possible. The problem being that once attacked there is almost no such thing a guaranteed safe retreat. I don't see how you can dismiss GZ not identifying himself as being on neighborhood watch, let alone answer TM's question of why he was following him as being irrelevant to who was ultimately culpable for TM's death that night. If, for example, a woman walking home alone that night was being watched and followed by GZ, would should not have reasonable fear for her life? If she confronted her stalker, would she not have a right to have him answer, as neighborhood watch captain, who also happened to be carrying a concealed weapon, was doing, stalking her? And while the term 'stalking' comes with it, it's own presumptions, so too is the presumption that TM couldn't have had reasonable fear of his life that subsequently could have escalated from the altercation that ultimately led to his death. We could speculate that GZ identifying himself to TM when confronted wouldn't have changed the outcome, however, when you think about it, that would have shown TM to disregard the very answer he was asking for - "Why are you following me?" "Whether GZ identified himself...is irrelevant to a determination of whether he acted in self-defense. The issue is whether his use of lethal force in response to Trayvon's attack on him was justified." But that's only true IF Trayvon attacked. If Zimmerman grabbed him to hold him for the police, then any response by Trayvon is not an attack, it's a defense against an attack. Perhaps the law allows him to used deadly force to prevent his own death even if he was the first to initiate physical contact, but that does not change the fact that, without an impartial 3rd party as witness to how things started, we do not know if Martin's actions can be called an attack or not. Unless there's a nuance of the law of which I'm unaware that defines attack in a way that does not include the "first to get physical" implication. If I'm mistaken on the legal part I welcome re-education (as long as it's not Red China/North Vietnam style). ...is an attack. Zimmerman shrugging off the hand of an alcohol agent wasn't an attack, if that's what happened. If he'd punched the agent that would have been a counterattack and an attack (and charges probably wouldn't have been dropped). If he punched Martin and Martin punched him back then Martin's counteraattack/attack would have been justified, but Zimmerman would have retained the right to deadly self defense if it reached that point. this is just one of many statements questioning the state of mind of GZ and speculating about his intentions while disparaging his character and motivations which is allowed on this site.Yet any post speculating about the state of mind, intentions and motivations of the aggressor TM is not allowed. . . . . Zimmerman, after having lost sight of the kid and knowing that he took off running toward the back exit (was it closed?) was surprised 4 minutes later to see the youngster. He didn't think to say "I'm part of the neighborhood watch" because he was scared or nervous. made similar ones, but what I am having difficulty reconciling - based on yours and others' timelines - is what was Zimmerman doing during that supposed four minute interval? Wasn't this the time he was supposedly thought to have been returning to his truck? Martin's failure to return home after Zimmerman lost sight of him is relevant since it helps establish a reasonable scenario which has Martin stalking Zimmerman. All the defense has to do is come up with any reasonable scenario in which Z acts in self defense. The prosecution must show that there is no such innocent scenario. M is not on trial here and the fact that Zimmerman's tarried in returning to his vehicle only helps in constructing irrelevant scenarios of Martin's innocence. what actually happened that night, and I'm interested in what some of the theories are. I'm not trying to find any scenario to bolster the position of either side. And I quite fully understand the charges and the SYG law. Unlike many on this thread I have yet to choose sides. I'm waiting for all the evidence to come out, whether before or during any hearing or trial, before I form an opinion to anyone's guilt or innocence. GZ is presumed innocent at this time. You are free to lecture others all you want, but don't try to lecture me. 07:11:41 - Zimmerman say "s***, he's running." 07:11:44 - Zimmerman can be heard to be opening the door and getting out of his truck. 07:11:57 - Dispatcher asks "are you following him?" 07:12:02 - Zimmerman responds "OK" after the dispatcher tells him they "don't need him to do that." 07:13:10 - Zimmerman says he "dosn't know where this kid is." 07:13:40 - Zimmerman's call ends. I used to think those sounds were of the car door, but it bothered me that very similar sounds can be heard earlier on the tape. I now think the sounds are of gear shifting. DeeDee, in her prosecutor interview, said she was told by Martin that the guy was in his car on the phone. How did Zimmerman get out of the car, except through the door ... hence, the door slam? I'm not making assumptions about what would or would not be audible over a cell phone. I'm starting with what I hear, and thinking about what it could mean in the context of the other evidence. I'm not assuming that every sound made will be audible on the tape. but exact times aren't known because the starting times are rounded in some unknown fashion, and the call times are probably rounded up to the next minute. I'm particularly uncertain about the calls marked with question marks, but put them with the DeeDee calls. The calls non-T-Mobile phones are marked. I just noticed that this list includes some texts from Martin to Dee Dee. Dee Dee denied there were any such in her statement to de la Rionda. but I'm pretty sure DeeDee mentions both the exchange of texts prior to the phone calls, and the final text around the time the phones disconnected for the last time. @18:00 - 19:04 DD is evasive about text messages. She's trying to understand the questions, which are unclear. The attorney begins by asking "When this is going on - I'm talking about that day, February 26th - did Trayvon send you any text messages?" It's unclear whether he means texts during the incident, or texts on that day, Feb. 26th. She tries to get him to clarify the question ("Like, .... when ...), which he does. She then says no, Martin didn't text her during the incident, and is consistent in the few, follow up questions. He then asks if she had texted Martin. She tries to clarify by asking about when ("Like, when, ... the phone had just hung up?"). She says "yes", but she didn't send any texts to Martin prior to that point during the incident. I remembered Dee Dee saying she had no text messages from Martin on her phone, and thought she meant for the whole day. Actually de la Rionda had earlier asked her specifically about texting during the time of the incident. DeeDee starts to answer a question, and he interrupts he with a different, but related question, so it's impossible to know which question she's answering. Also, I think the scope of the interview was probably agreed to with Crump; and de la Rionda was purposely not going beyond the facts brought out in Crump's original interviews with DeeDee. Why pin DeeDee's story down anymore than it already had been? It could probably win Worst Investigative Interview of the Year -- in the unlikely event such an award exists. Tracy Martin stated that he last spoke with Trayvon between 2 p.m. and 3 p.m. Is this when Trayvon begged to go to 7-11? Is there a reason the lead investigator's official timeline isn't being used here? 1913:36 - Dispatcher advises Zimmerman "Okay; we don't need you to do that"
1919:43 - Officer T. Smith locates and places Zimmerman in custody. *The Seminole County Sheriff's Office, which handled the call, reported it came in at 1909:34. "Is there a reason the lead investigator's official timeline isn't being used here?" One really good reason is because it's wrong. Serino went by the times attached to when stuff went out to the patrol cars, not by when the calls actually were answered. What path did Trayvon take when he started running? Where did Trayvon go in those 88 seconds? Where did GZ go in those 88 seconds? How did they come into contact again after the fight? I think if you look at the map, it is most likely that Trayvon ran towards the T and then turned right. This is supported by the fact that Zimmerman said Trayvon was running towards the back gate, and that that was the direction of the father's house. Had he run to Retreat View Circle, it is unlikely that he would have said "towards the back gate". Had he run down Twin Trees Lane, Zimmerman probably would not have lost sight of him, and he could have continued to follow him in his truck. So, I'm assuming Trayvon ran towards the T, then turned right. Zimmerman catches a glance of Trayvon turning right, makes it to the general area of the T, looks that direction, and doesn't see anything, says "He ran." He then stays in that general area of the T for the rest of the phone call, which is about 88 seconds. The first 9/11 call recording the fight is then received about 2 minutes and 31 seconds or 151 seconds after the phone call ends. "what was Zimmerman doing during that supposed four minute interval? Wasn't this the time he was supposedly thought to have been returning to his truck?" I agree that this is an interesting question. I think that the 151 seconds can be cut down somewhat because obviously there was time between when the fight started and when the 9/11 call was received. We have no idea how much time this was, it could have been as little as 30 seconds or could have been 90 seconds or more. For the sake of coming up with a timeframe, let's say that the confrontation started 60 seconds before the first 9/11 call. This gives about 90 seconds in between the end of the 9/11 call and the start of the fight. What was Zimmerman doing in this interval? One possible explanation is that he walked towards Retreat View Circle. He would have done this to get an address and to get a clearer view of the back gate (I believe he would have had a better view of the back gate from RVC, someone correct me if I'm wrong). RVC would also have been much better lit than the area down the sidewalk. It seems possible that he suspected Trayvon had been engaging in criminal activity, and who having been spotted was trying to escape the community, as evidenced by him saying "they always get away." This would be another reason for him to look towards the back gate. During this timeframe he may have walked a little bit down RVC before going back up it and then heading back to his truck. Then the confrontation happened near the T on his way back. While obviously we don't know what path Zimmerman took after his phone call or where exactly he was when it ended (and we won't have a better idea until we see his statements), I think this scenario fits the evidence. It makes a lot more sense to me than Zimmerman spotting Trayvon right after the phone call and then chasing him to a point very close to the T, which is very difficult to reconcile with any possible path either of the two could have taken. what was Zimmerman doing during that supposed four minute interval? Wasn't this the time he was supposedly thought to have been returning to his truck? Supposedly he finished the police call, he went to 'find a street sign', then he started towards his truck. Your slight "correction" still doesn't get around the main point. That he had plenty of time to do both things. [Zimmerman] had plenty of time to do both things. Yes, with about a minute to spare, as I've said elsewhere. It seems he didn't actually find a street sign, but when he saw that part of Retreat View Circle he recognized it. He went to the next street, realized where he was, and was walking back to his vehicle. 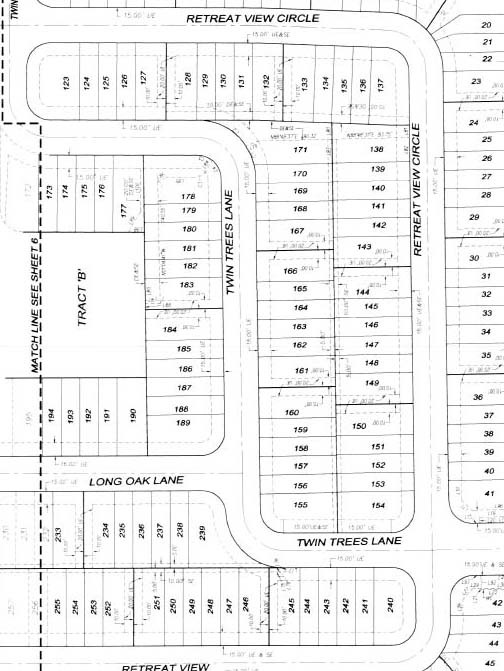 As I've said elsewhere, I think Zimmerman didn't know the street name when he was on Twin Trees Lane. He might have been embarrassed to admit that to the dispatcher, so he gave him a weak excuse for not giving him an address. When Zimmerman reached Retreat View Circle, he didn't know the police were still two or three minutes away. They might be about to call him, so it would make sense for him to wait at the newly found meeting spot. But after a minute went by, Zimmerman might have decided the police were taking their time and he might as well go back to his truck and drive it around. And, yes, that would give him another chance to spot Martin. It's true that the minute of waiting on RVC isn't attested by any published information, but it isn't contradicted either. And we don't have even one full statement from Zimmerman. We do have a statement from Dee Dee. In court Dee Dee can be impeached with that statement if she doesn't stick close to it. Maybe Martin didn't go home because he was afraid Zimmerman would see where he lived. Maybe he just thought it was safer to hide for a while. Or maybe he thought the danger was past, and he just wanted to keep talking privately to Dee Dee until the game started at 7:30. But if Martin was thinking any of these things, he didn't share with Dee Dee. He may even have lied to her. That could be a big problem for the prosecution. Look at what the Florida Evidence Code says about the Spontaneous Statement exception for hearsay. SPONTANEOUS STATEMENT.--A spontaneous statement describing or explaining an event or condition made while the declarant was perceiving the event or condition, or immediately thereafter, except when such statement is made under circumstances that indicate its lack of trustworthiness. If Martin didn't want Dee Dee to fully understand what was happening, the defense could have the beginning of an argument that would exclude her testimony altogether. "As I've said elsewhere, I think Zimmerman didn't know the street name when he was on Twin Trees Lane. He might have been embarrassed to admit that to the dispatcher, so he gave him a weak excuse for not giving him an address." Zimmerman was the 'head' of the neighborhood watch group, had lived in the complex for some time - and you're suggesting he didn't know the name of the street? Baloney. There is nothing to support the idea that Zimmerman, who had lived in the development for several years, didn't know the name of the street and was embarrassed to admit it. Nothing, except for a desire to believe Zimmerman's/Zimmerman's father's explanation for why he continued to move eastward and remained in that area for some period. How could the head of a neighborhood watch program not know the names of the streets in a very small development with only 3 streets? There is nothing to support the idea that Zimmerman, who had lived in the development for several years, didn't know the name of the street and was embarrassed to admit it. I linked to the comment in which I discussed this. ... your own posts in which you advance this theory without a shred of evidence or support. Do you have any actual evidence or support for the idea that the neighborhood watch leader who lived in the neighborhood for years didn't know the names of the 3 streets in the development? ... that Martin was lying to Deedee. There is also zero evidence that Martin was lying to Deedee. Dee Dee's narrative doesn't make sense in the light of the other evidence. Assuming he didn't tell "Deedee" he was hiding, maybe he didn't want her to know he was scared - fairly common among males in general, teenage boys in particular. Even if Martin didn't lie outright, his being motivated to have Dee Dee misunderstand the situation would be grounds for excluding her testimony under the statute I cited. What about Dee Dee's narrative doesn't fit the evidence? And what evidence is there that TM lied? De la Rionda: So Trayvon said he started walking because he thought he had lost the guy? Dee Dee: I say "Keep running." Dee Dee: He say he ain't gonna run. Cause he say he right by his father's house. Dee Dee: So. And in a couple of minutes, he say the man following him again, behind him. And I say "run!" The 'couple of minutes' is the time during which Martin did something other than continue to walk home. De la Rionda didn't explore that, but O'Mara will when he deposes Dee Dee. Then comes the slow chase (9:21-10:39). I'm thinking what it most resembles is a comic sketch from the Carol Burnett show. Imagine Harvey Korman chasing Tim Conway, both characters already exhausted from running a marathon. During the slow chase was something like the following dialogue. I've used brackets to mark places where I have made direct quotes out of indirect ones. Dee Dee mostly quotes herself directly, Martin indirectly. Dee Dee: Run! You gonna run? Dee Dee: Run! Keep running. Dee Dee: Why you not running? Martin: [I'm not gonna run. The guy is getting real close to me.] What are you following me for? I'm thinking this is fifteen seconds worth of dialogue at least. After hearing that Martin was being watched, Dee Dee persistently urged him to run home. After Martin said he was again being followed, Dee Dee told him to run, without any suggestion he should change direction. Dee Dee must have believed that Martin was being followed in the direction of home. The chase went south from the cut-through. For Martin it was thirty feet, at no more than two feet per second. Picture Martin, standing just south of the cut-through. Some obscure errand has brought him there, perhaps not shared even with Dee Dee. Or perhaps Dee Dee doesn't want to tell. The rain has stopped. Martin does not know that at that very moment Zimmerman is approaching, from the east or the west. Martin may or may not have noticed Zimmerman's key chain flashlight, in the grass a few feet north of him. Zimmerman must have dropped it already. The slow chase will not take him through that point. Martin turns southward, ready at last to go home. Out of the corner of his eye he sees Zimmerman, rounding a corner, heading towards him. It has been a minute or two since Zimmerman finished his police call. Whatever he has been doing since has exhausted him, almost as much as Martin was exhausted by the long walk to and from the store. But, while Martin can only shuffle along at two feet per second, Zimmerman is ambling at over two and a half feet per second. The distance inexorably closes. That's Dee Dee's story. Do you believe it? Dee Dee is saying & therefore would also view the results or effectiveness of what was said, differently. I might have it all wrong but basically what I think Dee Dee is saying overall is that GZ followed TM from the time he got out of his truck until the time the two exchanged words (and of course, continuing on to the shooting though Dee Dee didn't hear that part). They (TM/GZ) might've lost sight of each other or one or the other might've thought the other was 'gone' (i.e., "He ran") but it wasn't for long. First of all, it would be helpful to have the visual for audio as well -- to pick up any non-verbal cues and all of that. Secondly, there seems to be some type of time lapse, for lack of a better way of putting it, in the interview. In the "background" portion of the interview, there are no skips in time but Dee Dee's answers aren't heard and they also don't seem to be muted. I don't know what that is or how it was accomplished but I also don't hear any pausing/ restarting of the tape. I also don't know if that occurs anywhere after the questioning re the events of Feb 26th begin, so I'm just going by what we have (the public version?) and as I said above, I could be completely wrong with my interpretation. The 'couple of minutes' is the time during which Martin did something other than continue to walk home. From what you have just above and even continue with to the point where you say, "Im thinking this is fifteen seconds worth of dialogue. ": I have TM having run from the back (between the townhomes, perhaps run around to the front of the southern most block of townhomes) & for right now I'm placing him on Twin Trees headed back toward the cut-through/ T-intersection. If you back up some on the audio to say around 8:50 where De la Rionda misunderstood something Dee Dee said ("... right near his dad's house"), he repeats back to her what he thought she said, "[GZ] is near his a**". Dee Dee replies, "No." Then DD says: Keep running. Not going to run because he's right by his father's house <-- this is what De la Rionda misunderstood earlier; if I have this correctly, she switches "dad's" to "father's" house (for clarity?). It's possible Dee Dee merely interjected here , what I have italicized just above, realizing this is what De la Rionda didn't catch the first time and as you have, De la Rionda says "Okay". I hesitate on this because it would really help to see the visual. They should both be at the side of the first block of townhomes by the T at this point; GZ caught up to TM. Yes, she wants him to "run to that house" but, (still speculating) at a certain point, TM decides to change direction (as Dee Dee put it "It would be easier" or "more easier" for TM to run from the back, i.e., "change direction"? --- because of Chad? complications of having GZ at their home?). Anyway my apologies for such a long post. I'm going to go back over this again, what you wrote. Also, I would think it's possible TM did first go down Twin Trees and cut up to the back at some point (after first block or maybe even second block of townhomes; GZ could've gone either way -- common side walk/ Twin Trees). Basically I'm still waiting and looking for more facts and clarifications. on the last stretch, i.e., where GZ caught up to TM: there was no mention of running to the house (unless I missed it and I'll check again). TM's no longer by the house, he's back near the T with GZ right behind him. Thanks for the long and thoughtful response. It's good to have a partner in this dance. I think my response may be even longer, so I'm going to break it into two parts. They (TM/GZ) might've lost sight of each other or one or the other might've thought the other was 'gone' (i.e., "He ran") but it wasn't for long. Do you mean that you think Zimmerman saw Martin again while he was on the phone, and didn't tell the dispatcher? In the "background" portion of the interview, there are no skips in time but Dee Dee's answers aren't heard and they also don't seem to be muted. I don't know what that is or how it was accomplished but I also don't hear any pausing/ restarting of the tape. My guess would be some digital method was used to redact the recording. I have TM having run from the back (between the townhomes, perhaps run around to the front of the southern most block of townhomes) & for right now I'm placing him on Twin Trees headed back toward the cut-through/ T-intersection. What do you make of 'from the back'? I think it is an expression that has evolved as part of the dialect of Dee Dee's community, which I don't expect any amount of cogitating on my part will penetrate. Dee Dee seems to feel she is conveying some important distinction by using the phrase. But to me it seems I can make sense of what she is saying while just ignoring it. A similar expression is 'behind the car', which Dee Dee seems to use to mean 'in the car' or 'driving the car' or 'employing the car'. In this case I have an idea of what she means specifically, but I can only guess what novel meaning 'behind' has acquired in her dialect. Maybe she meant that the car was behind Martin, which makes it a question of syntax instead of vocabulary. De la Rionda seems to understand, and oddly feels no need to explain for the benefit of those who listen to this recording. I hope this will eventually be clarified. Dee Dee first used 'run from the back' at 7:26. Dee Dee: So I said 'What's going on?' He said this man is still watching him, like in a car, so he about to run from the back. So I- I told him go to his dad's house. Run to the house. De la Rionda: Go to what? Dee Dee: Run to his dad's house. De la Rionda: To his dad's house. Dee Dee: But he said he about to run from his- um, the back, because it's more easy, he said. So next I hear, he's just running. It sounds like 'run from the back' means running in some other direction than toward 'his dad's house'. But then why was Martin 'right by his father's house' just after he 'ran from the back'? One guess would be that Dee Dee was suggesting Martin take the most direct route home. Did she know the difference? How much did Dee Dee know about the layout of the complex? Had she ever been there? De la Rionda didn't ask these questions in the recorded interview. The most direct route would be south on Twin Trees Lane, then cut through between buildings at one of two places. The first would be at Q26 on the grid. The second would be off the grid. If Martin went that way and kept running, I think he might have reached the sidewalk behind Brandy Green's building, 'right by his father's house', about the time that Zimmerman was giving the dispatcher his phone number. In any case, she seems to start over and offer a summary . . . I agree. De la Rionda misunderstood a word, causing him confusion. He asked Dee Dee to clarify. She did by backtracking in her narrative, repeating the most recent part and then substituting 'father's house' for 'dad's'. De la Rionda understood. The narrative continued from there. I also thought Dee Dee was saying 'right by his *ss' the first time I listened. Perhaps it wasn't clear to her why he repeated what she'd said as he did, might've thought he was getting ahead of the account? or maybe wasn't clear on where De la Rionda lost track of where she was in her account? I don't think so. I think Dee Dee understood exactly how she had been misunderstood and how to correct it. I'm about to return to the question of Martin's route, so this is a good place to break. Just seeing your response now & wanted to let you know I saw it; I want to spend some time with it. Right off the bat though -- I'd wondered myself, too, how much Dee Dee knew of the layout of the complex and if she'd ever been there. I'm blocking on other questions I had as well but given the background segment, it made me wonder if there was more to the interview than we were given. Thanks for the suggestion re the digital redaction; I'd never heard of it before but it makes sense. Thanks, too for your feedback on De la Rionda misunderstanding what Dee Dee said. I can hear what she said, both ways now; initially I heard what she said correctly and it was about the third time through when I heard it as De la Rionda had. Absolutely, Dee Dee might've known exactly how she was misunderstood. I didn't hear any "surprise" type tones in her voice but thought she might've given some non-verbal cue that couldn't be seen because it really sounded as though 'that' was what was going on. What I was getting at however, was that sometimes a person can get so involved in relating their story, they don't quite catch where the misunderstanding is and will just summarize and in so doing, sometimes, it will dawn on them as they continue through the summarize. Other times a person can happen to catch it right away and in such a case, 'that' will be the only thing they correct/ clarify. It will be interesting to see if there was anything else redacted from the interview and if so, what it is. Okay, I'll be back asap with the rest of it. I've noticed the zero-time redactions on other tapes. The first time I heard one of the W-20 tapes I thought he called his girlfriend 'Mandy', unredacted. After a few more times I realized that didn't fit, and decided it was a zero-time redaction of her name followed by 'and me'. There are several on You Tube. Exactly. It would also fit very well with, in effect: "Which way is he running" (dispatch) and GZ responds, in effect, "Down toward the (back) entrance". open for the rest of your response. No, not at all. GZ would've finished his call and started walking back north on the common sidewalk between the townhomes. Step by step: TM is in the back, i.e. between the townhomes. When GZ continues to follow after TM south between the buildings & TM catches sight of him doing so, TM "runs from the back", i.e., in this scenario, he runs from the back of (away from the back of) the townhomes, through a break between the townhomes or around the far end of the last block of townhomes, and onto Twin Trees Lane. Dee Dee seems to feel she is conveying some important distinction by using the phrase. Yep and that's how I'm seeing it at this time (i.e., current speculative scenario) as well. I haven't had a chance yet to listen again to the interview segment that begins at 7:26 (and I'm going to do that today & get back to you on it) but if I remember correctly it was something else I noticed and caused me to ask the question I did about redactions although it's not clear there is one here. I say the latter because we don't know how much of their phone time was spent in silence, especially at this point. It seems entirely plausible to me that Dee Dee sensing TMs concern, remained quiet (at least for the most part) allowing TM to speak (or not speak) as he wished during this time because he was the one dealing with whatever was going on during this time as he tried to 'lose' this strange man. We do know from Dee Dee that at one point, she said to TM, "I know you're scared". It's entirely possible, imo, neither Dee Dee/ TM are talking very much during this time at all. So, what that means at least potentially is we have TM walking passed/ beyond GZs car and all of a sudden he's running from the back, for example. It seems like a big jump in time to someone who wasn't there and not going through it and not experiencing it, but it's entirely possible that's exactly how it happened. My basic feeling (not without reservation) at the time I posted my long post was that she covered it all in her summation to De la Rionda's misunderstanding. Still, I agree with you it would be helpful to have some clarification. This is the part I want to listen to again. I will say this however, that I believe Dee Dee is -- not sure how to put this but -- either on the verge of tears and/ or tries to keep herself from crying at a number of points during this interview. My feelings on this seem to be confirmed to me by some of the comments De la Rionda makes at times, i.e., in effect, "I know this hard for you" "Take your time", etc. I had the feeling listening to her that it is hard for her to re-live/ recount that night, their last conversation. You can also hear it in her voice at times: the way her voice 'gives out' for example when she says "since kindergarten?" "I know you're scared" -- there's quite a few I think. Of course, I could be wrong but this is how her interview comes across to me. She's repeating/ keeps repeating what she knows/ what Trayvon was able to relate to her in their conversation. Okay, I see how long this post is. I will stop now and be back later on with the rest, probably on the late side. When Dee Dee calls TM back, which is roughly where the 7:26 (7:20) start of the segment you are asking about, begins. This should be around 7:12 p.m., when their final call begins and it should mean TM is already on the common sidewalk behind the townhomes; possibly near/ approaching his dad's house. IOW, he already ran once after passing GZ's car (could've gone down Twin Trees & to the back OR directly to the sidewalk behind the townhomes). When he and Dee Dee reconnect by phone, that first run is over with & he's near his dad's house telling Dee Dee he has to run (again), "run from the back" (because GZ is following him). One of the follow-up questions De la Rionda asks Dee Dee has to do with whether TM told her GZ had left his car. Basically her response is that he did not tell her explicitly but she knew he had because of where TM was. So, presumably at this point, Dee Dee knows GZ is on foot chasing TM; she's telling him to "run to that house" and he tells her no -- I have to run from the back as it's more easier (that way). Re your statement he could've run down Twin Trees (most direct route): Exactly, as I said before, but this would've been during the time TM/ Dee Dee were not in contact and before she got him back on the phone. This clarifies why you think Martin ran twice (at least?) while only the second time was 'from the back'. I'll have more to say after I've had time to think this one through. I have two thoughts off the top of my head. I don't think it is clear how T-Mobile rounds its minutes, so I'm not yet ruling out that the call could have reconnected before the first (possibly only) time Martin ran. I suppose 'behind the car' (7:05), could mean that Zimmerman had left the car behind. I think that's a little more far-fetched than my other guesses. When Dee Dee calls TM back, which is roughly where the 7:26 (7:20) start of the segment you are asking about, begins. Very roughly. It's almost half a minute earlier. Dee Dee: And then, the phone hung up. And then I called him back again. And then, and I say, 'What you doing?' And he say he's walking. And he say this man is still following him, behind the car. From 7:06 to 7:18, Dee Dee talked about Martin putting his hood up. Next is the part I quoted before. Dee Dee said the man was 'like in a car' (7:24) just before Martin told her he was 'about to run from the back' (7:25). After trading a few words, she thought she heard Martin running (7:43). It sounds like the phones reconnected before Zimmerman saw Martin run, while Zimmerman was still in his truck. Zimmerman said Martin was running about 7:11:41. That's a problem if '7:12' means 7:12:00 - 7:12:59. Maybe it means 7:11:01 - 7:12:00. It took me a while to understand what you were saying. I think I've got it now. Dee Dee: He say he lost this - the guy. Dee Dee: And then he's - he ran from the back. Dee Dee: He started walking back again. And I told him, "keep running." You're taking 'he lost this - the guy' and 'He say he lost him' as two different instances of Martin losing Zimmerman. I don't agree. I would rewrite part of the above. 'And then he's - He ran from the back.' A subtle difference, but my point is I don't think Dee Dee meant to say Martin 'ran from the back' a second time, and then 'lost him' a second time. I think she was starting her narrative over once again, one event earlier. After Martin 'lost the guy' he could have been almost anywhere. I've estimated he could have run well over 200 yards in whatever direction, then walked back to the vicinity of the shooting site in time for the 'confrontation'. That means he could have gone to any part of the complex, except possibly the farthest west. He could have gone out either entrance, and taken a leisurely stroll on Oregon or South Oregon Avenue. That works for the slow chase, if only mechanically. If Martin was walking north on Twin Trees Lane beside the northern building, Zimmerman could have popped out behind him at Q25. I think Retreat View Circle would be more likely. Zimmerman's truck was on TTL. Wouldn't Martin worry that Zimmerman would spot him on the way back to it? Either way, I'm still not buying that 'walking back again' means anything but 'walking back home.' Why would Martin say he wasn't going to run because he was close to home, if the direction he was headed was away from home? Dee Dee said Martin was tired. Once he thought he had lost Zimmerman, why would he walk away from home? Wouldn't he either go home, or stop to rest? If Dee Dee thought Martin was walking away from home, why was she still urging him to run? Wouldn't she be trying to talk him into going home, instead of urging him to run in whatever unexplained direction he was going? He couldn't go back the direction he'd just run from because he'd run into GZ -- that's where GZ was: near his father's house. If TM had gone up RVC, he wouldn't know where GZ was: TM wouldn't have known if he (GZ) had gotten into his truck and left OR if he was still around 'somewhere'. Running off 200 yds in any direction would've presented the same predicament. He was probably hoping to see GZ ahead of him getting into his truck and driving off but instead, he saw him coming from behind, following him again. I was using "walking back again" in the same way you are, i.e., walking back home. I believe De la Rionda asks about this specifically as "walking again" (as having stopped running and is now walking again). I'll look at this again and give it more thought. It's not clear to me in your other post where you have Dee Dee "knowing" GZ had gotten out of his car to follow TM on foot. Maybe you do have it and I will find it when I go back through it in more detail. I have more to say for each of your posts but want to take some time with each! It's not clear to me in your other post where you have Dee Dee "knowing" GZ had gotten out of his car to follow TM on foot. Dee Dee: So. And in a couple of minutes, he say the man following him again. He's behind him. Dee Dee might have known earlier, but if so she said nothing to indicate it. Martin, standing in the mail kiosk, saw a man watching him from a car. The phone call dropped and reconnected. Dee Dee heard Martin running. Martin slowed to a walk. He told Dee Dee he had 'lost the guy', and he was 'right by his father's house'. 'A couple of minutes' passed. Dee Dee didn't say what happened during this time. After the 'couple of minutes', Martin apparently was still, or had resumed, walking homeward. He noticed the man following him again. The Slow Chase began. You mean Zimmerman was prowling in the dog walk area? Martin told Dee Dee he wasn't running home because he was close, presumably meaning he would get there soon enough walking. If he wasn't even walking home because Zimmerman was in the way, that's a significant misrepresentation. I've been looking at case law on hearsay exceptions. I haven't found anything directly on point. I have learned that trial judges have a lot of discretion in this area. I think the second prong of the Spontaneous Statement exception, 90.803(1), is meant to give a textual basis for this discretion. There's not much point in parsing its wording or searching for interpretive case law. It's an out for the trial judge to exclude hearsay, even though it meets the first prong, if the judge doesn't believe it's reliable. Dee Dee hasn't explained why Martin didn't go home, or what he did instead. She hasn't explained how Martin came to encounter Zimmerman at the place of confrontation, and her Slow Chase complicates the problem. DLR: I know Trayvon is like running or walking. My question is like did Trayvon ever describe to you like, "Hey", you know like if I see a football game and I say you know the guy is running fast or like the guy ran to the left? DLR: That's what you believe? What you are saying, NoMatter, is that Dee Dee didn't know GZ was 'on foot' until around the time TM and GZ would exchange words. My interpretation of Dee Dee's account places her knowledge/ belief re when she knew GZ was on foot, earlier as TM was clearing the area beyond GZ's truck. This is also incorrect. It should be merely "walking" (as opposed to "still walking"). DD: And then I say what-ya doing and he said "Walking" and he said...."
Doesn't say he did run in between calls but it also doesn't say he didn't run in between the calls. You omitted quite a bit here before the narrative gets to the above point. I believe I'll cover this in the post I'm already working on. How do you come to that conclusion? TM's still going home, just taking a longer route. If you drive a certain way home every night and one night the police have your route blocked off and you need to take a detour, you are STILL going home. Same thing here or have I misunderstood? Not sure why you're bringing this up? Just as I've done with others involved in this case, I'm trying to understand exactly what the person is saying and at this point I want to know Dee Dee's account. We may not even have the total of Dee Dee's statement yet (as I believe I mentioned previously). You omitted quite a bit . . .
You seem to be misunderstanding my purpose in some way. My purpose was to advance our discussion by clarifying, as I said, 'how I understand the sequence'. I omitted nothing pertinent to that purpose. I think it would be useful if you would do the same. I would like to see how you would summarize the sequence of events, from when Martin started walking from the mail kiosk to when he 'ran from the back'. I mean particularly the movements of Martin and Zimmerman, and when each of them could or could not see the other. You are arguing specific points, and I'm not understanding how they fit together. De la Rionda's first (I believe first) follow-up question to Dee Dee deals with when she believed GZ got out of his car and followed TM on foot . . .
Dee Dee said the man must have gotten out of the car because at some point he was following Martin on foot. I don't think she was at all clear about when this happened. De la Rionda's question is interesting for another reason. What you are saying, NoMatter, is that Dee Dee didn't know GZ was 'on foot' until around the time TM and GZ would exchange words. I explicitly said she might have known earlier. TM's still going home, just taking a longer route. Judges and jurors value common sense. They tend not to be impressed with jesuitical word games. If Martin didn't tell Dee Dee about the 'longer route', that's a significant omission. If Martin said he didn't need to run because he was close to home, when he was really taking a 'longer route', common sense calls that a lie. Not sure why you're bringing this up? It's the issue the subthread took off from. We can leave it aside if you like. For the moment I have nothing more to say about it anyway. If by "dogwalk area" you mean the sidewalk between the back of the townhomes . . . Yes. 'The dog walk' is a handy nickname for identifying that particular sidewalk. Serino mentioned the residents using it in one of the interviews. Speaking of interviews, Axiom Amnesia seems to have them all. The site is biased against Zimmerman, and has put up truncated recordings in the past. These appear to be complete, and are represented as being so. This thread is almost full. When it is I suggest we take the discussion to the May 31 thread. It's an open Zimmerman thread with lots of room. Sounds good to me. It'd be a little hard trying to fit all I'll have into one post. I was rushing yesterday to get one of our pets to the vet's on time & either misunderstood where you were coming from or came across more abrupt(?) than was meant, for lack of a better way of putting it. I would like to see how you would summarize the sequence of events, from when Martin started walking from the mail kiosk to when he 'ran from the back'. I mean particularly the movements of Martin and Zimmerman, and when each of them could or could not see the other. Currently, I've been trying to construct a scenario based on my interpretations of Dee Dee's account and will try & fill in details using witness accounts. 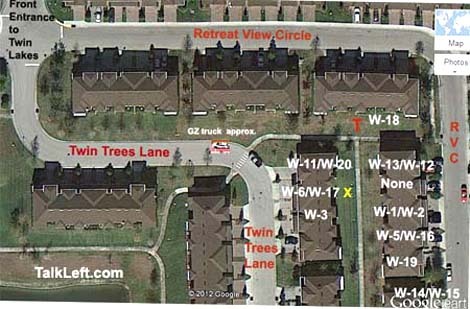 Basically, TM runs down Twin Trees; GZ follows by running south on the sidewalk between townhomes (obviously, he would see TM run through break between town homes) & when TM spots GZ "in the back" -- he runs from the back, traveling up Twin Trees. GZ doesn't see TM however until he's finished with his non-emergency call. Btw, my interpretation of Dee Dee's account could be wrong but I believe she is showing (via the phone conversation she had with TM) that GZ was following TM right up until the phone disconnected. My hypothetical was one explanation of several offered to explain why he may not have explicitly told Deedee he was hiding - if, in fact, he didn't. It is not, however, evidence that he was lying or even "motivated to have Deedee misunderstand the situation". Just as with your "Zimmerman couldn't remember the name of the street" hypothetical, your theory that he may have been lying or deceiving Deedee has zero evidence to support it. BTW - How much would you care to bet that this is not a "big problem for the prosecution"? I went back and double-checked the Oregon Ave. & S. Oregon Ave. street views to the Retreat and the street sign is there at both entrances for Twin Trees Lane. It's possible GZ didn't know the name of the street but imo, this doesn't look good for him, not at all, IF it is the case he didn't know the name of the street. In such a case, it would've made more sense I would think, for him to have gone directly back to his truck and driven to find the name of 'that' street (Twin Trees) especially since it would be the location he last saw TM (or real close to it). But, as a member of neighborhood watch and knowing he might need to give an address (including any of the addresses on Twin Trees) at any time, one would think he'd make sure to know the name of the street at the very least. It raises a lot of questions re GZ in general, imo. viewing the evidence in the light most favorable to the prosecution, wouldn't the inquiry "What are you doing around here?" have dispelled any suspicion on Trayvon's part that Zimmerman intended to rob or otherwise harm him? Muggers do not usually address their victims in this fashion. How could the question rationally be construed any other way than expressing doubt about whether Trayvon was lawfully on the property? Trayvon may have resented the inquiry, but he did know that he was a newcomer in the neighborhood. The question itself answers Trayvon's "Why are you following me?" According to investigator Serano, if only Zimmerman had said "I am a block watcher. What are you doing around here?" Zimmerman never would have been accused of murder. I agree. Except the State wants to give Zimmerman life based, at least in part, on that Serano nonsense; the press cites Serano's "theory" as proof Zimmerman is a murderer; wasn't that "theory" in the probable cause affidavit? ; and some commentators, see below, take it very seriously. Obviously, I hope you realize, I was trying for sarcasm. The state has Zimmerman in a rather aggressive posture, aiming to get himself a victim at least from the time he exits the truck. Serino's take admits (or even concedes) the possibility that Zimmerman did not instigate fisticuffs, but suggests Zimmerman is responsible for the entire incident by not staying in his truck, or by uttering inflammatory rhetoric when he and Martin met. With a concession that Zimmerman was on the ground taking an extended beating, Serino's suggestion is fatally flawed as a matter of law. Getting out of a vehicle to follow, and being inartful in confrontation are not legally sufficient justification for taking a punch to the head, and certainly not for being pinned to the ground. The state's narrative in the charging affidavit cures this flaw. The state's narrative has Zimmerman "disregarded the police dispatcher and continued to follow Martin who was trying to return home." The state goes on, "Zimmerman confronted Martin and a struggled ensued," and suggests that Martin was not in a superior physical situation, by stating that it has evidence (Sybrina's testimony) that Martin is the person screaming for help for over half a minute. The state's narrative is radically different from Serino's, and necessarily so in order to sustain at least manslaughter. ...and neither one of those scenarios stand up particularly well. You know it is amazing all the different postures and theories there are out there with all kinds of extraneous stuff chocked in. Many, if not most of them have been played out in these threads. Still, from a legal perspective, which is all that really counts, it is a strikingly more limited inquiry. And I still find it darn near impossible to see how the state is going to make their burden, under either of their apparent theories, whether on 2nd degree or manslaughter. I just cannot find a way to see how it plays out for the state to win. It was two other investigators who authored the probable cause affidavit, along with an assist from Bernie, according to testimony at the bond hearing. Serino did author the March 13th Capias that didn't accuse Zimmerman of an actual crime, and which wasn't signed by a State Attorney. This is the document which is probably the source for all of the cries that Zimmerman is guilty because he got out of his truck. Around the same time frame he authored the Capias, the Orlando Sentinel quotes him as saying he "turned up no reliable evidence that cast doubt on Zimmerman's account - that he had acted in self-defense." Although it is rather puzzling, that statement isn't inconsistent with the wording of the Capias, at least the part that hasn't been redacted. What is puzzling is why Serino requested Zimmerman be arrested for getting out of his truck, which he had every right to do. Serino's document has Charges: Homicide-Neglic Mansl- F.S.S. 782.071 I believe that his theory was that getting out of the car was negligence under 782.071. Obviously, Wolfinger didn't agree. I don't know if this was commented on, but DeeDee in her recorded statement recently released made some very interesting statements. First, I don't believe for a minute her "Terminator" type, on again, off again "chase" of Martin by Zimmerman. It doesn't fit with what is heard on the dispatcher tape or the tight physical and time constraints between the end of that tape and the confrontation. It is a work of fiction. She said Martin saw Zimmerman "talking on the phone" while sitting in his car. So all he saw was a pudgy short white guy talking on the phone ... hardly a threat or anybody to be afraid of. Martin boldly walked right up to Zimmerman sitting in his car (based on the dispatcher tape) so he hardly could be considered to be afraid of the pudgy (5'7"-5'8") guy talking on the phone in a car. There was no mention of Martin seeing a gun, including during her version of the start of the confrontation. So there was no reason for "fear" in Martin from that quarter. DeeDee said Martin, once he started running, ran directly to where he was staying, and after a "couple of minutes" (during which time she reports nothing of what was happening) she heard the confrontation. So, according to DeeDee, Martin reached Brandy's apt and there are 2-3 minutes that DeeDee does not relate about, where Martin (apparently) did not go into the apt but instead went away from the apartment and eventually confronted Zimmerman. I don't believe for a minute her "Terminator" type, on again, off again "chase" of Martin by Zimmerman. The slow speed chase makes me think of cinema too, but nothing as dramatic as the "Terminator" movies. I'm thinking low comedy, like one of the "Scary Movie" series. 250 lb behemoth hunting down 140 lb child to shoot him. That script doesn't remind you of "Terminator"? A script made in heaven for Crump, Sharpton and crew. ...or just don't know facts? Autopsy showed Martin was 5' 11" and weighed 158 pounds. Those are the dimensions of a fully grown man, even if Martin himself was only 17 and may have had some growing left. At the time of the incident, the best facts seem to indicated Zimmerman was 5' 9" and about 190-200 pounds. Which puts the situation far from the picture you just painted. Is that the new spin? I guess since one of the main "scary Trayvon" memes failed - that of the "hulking football player" - some of you are still trying to exaggerate TM's physicality, who, btw just turned 17 a few weeks before his death, into the "dimensions" of a fully grown man. Meanwhile, the physicality of GZ who, is in fact a "fully grown man" and is the ripe old age of 28 is downplayed. presenting the tale in the way Crump wanted it told. Extremely sarcastic ... to the point of disgust. for not picking up on that. DeeDee, in her recently released interview with Florida authorities, said Martin went directly to where he was staying after he started running. She doesn't explain what occurred in the intervening 3 minutes or so, after he reached the apt, until the confrontation. She simply said that after reaching the apt, "a couple of minutes" later she heard the confrontation. She hasn't explained what Martin was doing during that time and why he didn't go into the apt and left its proximity. if he made it "home" or not. She doesn't explain what occurred in the intervening 3 minutes or so, after he reached the apt, until the confrontation. She simply said that after reaching the apt, "a couple of minutes" later she heard the confrontation. Dee Dee didn't say Martin 'reached' the townhome. She said he told her he was 'right by' it. De la Rionda as usual did not explore what Martin might have meant by that. ... that you linked to. You were proposing an alternative theory (albeit reluctantly - "I don't like this theory, but that could just be my pro-Zimmerman bias") about why Martin didn't immediately run home. You were responding to another pro-Zimmerman poster who was arguing that the only explanation for Martin not returning home was because he turned around and "sought out" Zimmerman. Neither I nor the commenter I was responding to said anything about Martin running all the way home. How is it that if clearly on the 911 call we know that trayvon ran and Z lost sight of him, is it possible that Z then confronted Travyon? Isn't the only plausible theory that trayvon turned around and sought out Z? The theory that I was responding to was the suggestion that Martin had enough time to make it home but didn't, which they claimed was proof that Martin was lying in wait for Zimmerman. Darby was suggesting that the only plausible explanation for the fact that Martin didn't didn't "make it home safely" was because he turned around and sought out Zimmerman. You proposed an alternative (that Martin didn't want Zimmerman to follow him to his home), but then discounted it as one you didn't like. My point was, by this logic, Zimmerman also had plenty of time to "find a street sign" and return to his truck. The theory that I was responding to was the suggestion that Martin had enough time to make it home but didn't . . .
keep suggesting that, Martin was waiting to attack Zimmerman because he did not immediately run home. You said 'immediately run'. Now you want to change to 'make it'. but then discounted it as one you didn't like. I indicated my intuition in the matter was not a good reason to discount the theory. I don't like this theory, but that could just be my pro-Zimmerman bias. I can't think of any evidence or reasoning that excludes it. I still can't think of any, and I still think it's a viable theory. The theory has a weakness. It requires assuming that Martin was averse to calling the police for some reason. The most plausible is that he knew of the Sanford PD's racist reputation. But I know of no evidence to support that, or to support any other reason for the aversion. Another reason that's been suggested is that Martin was hiding, and feared giving away his position. But that conflicts with Dee Dee's claims that Martin was walking and talking to her. I don't want to "change" anything. The suggestion being made by several posters is that Martin had plenty of time to make it home, but didn't. Therefore, they conclude that Martin was lying in wait for Zimmerman. The very example I gave you did not claim that Martin "made it home" - nor am I trying to "change" anything to "made it home". The poster claimed that Martin had plenty of time and "could have made it home safely", but didn't, suggesting therefore that the only plausible reason was that Martin "turned around and sought out" Zimmerman. You then discounted this theory (in the sense of downplaying or diminishing), explaining that you didn't like it, but couldn't disprove it. Now you offer reasons that you think it is a weak argument. Of course, there are numerous potential reasons beside the one you offered as to why Martin didn't call the police, and there will no evidence for any of them, because you're asking about his decision, and we can't ask him. As for the theory that Martin was hiding being in conflict with Deedee's statement that he was "walking and talking to her", it's not. Deedee never claimed that Martin was "walking and talking" during that entire period. In fact, she specifically said Martin's breathing was hard and his voice got "low". Then, she said Martin saw the man "in a couple of minutes". Martin could have been hiding and speaking intermittently and "low" during this period - however long it was. Of course, there are numerous potential reasons beside the one you offered as to why Martin didn't call the police . . . If someone told Martin the Sanford police are racist, or if Martin said he didn't trust the Sanford police, there could be evidence of that. Deedee never claimed that Martin was "walking and talking" during that entire period. Martin wouldn't need the entire period to call 911. In fact, she specifically said Martin's breathing was hard and his voice got "low". Martin could have called 911 using a low voice. Martin could have been hiding and speaking intermittently and "low" during this period - however long it was. If Martin was hiding, he doesn't seem to have mentioned it to Dee Dee. That makes it more likely he was hiding to lie in wait rather than from fear. And it casts doubt on the overall reliability of the account Dee Dee received from Martin. A general distrust of police, as opposed to specific knowledge of any racism in the Sanford PD. Or, maybe he didn't want "Deedee" to know he was scared. Maybe he thought the police would take too long, or that he had already "lost" Zimmerman (as "Deedee" indicated). There "could be" evidence of virtually anything, but that doesn't mean it's likely or even remotely probable. It's hard to imagine him having a conversation about the Sanford PD's history of racism, particularly since he didn't live there. That being said, we're talking about his state of mind at the time - unless he specifically told "Deedee" why he didn't want to call the police, it's extremely unlikely there would be any evidence of the reason. Of course he wouldn't. My point was that speaking intermittently in a "low" voice is not inconsistent with hiding, as you were suggesting. Nor is walking. No, it doesn't do either of those things. Assuming he didn't tell "Deedee" he was hiding, maybe he didn't want her to know he was scared - fairly common among males in general, teenage boys in particular. When someone lets you have the last word, that doesn't mean the point has been conceded. That is an important point if the fight had ended differently and Martin was now on trial and was invoking self defense. I tried to start a discussion of that in another thread and Jeralyn deleted the posts. If we stick to Zimmerman being on trial, it isn't very important, and I seriously doubt that we will ever know the reason. A few days ago I made a comment summarizing what the written reports say about the earphones. No one explicitly reported seeing them anywhere but on the grass. No one who saw the body before it was rolled over reported seeing the earphones at all. They may have fallen from the pockets, or elsewhere on the body. That would explain why they were not given an object marker number. Serino did not mention seeing the earphones in his field report. (p. 37) The link in Jeralyn's post is to a copy of the property log, which was routinely attached to all of Serino's reports. that the earphones were pulled out or fell out of the pocket when the juice can was removed to implement CPR. The hoodie and the shirt underneath were pulled up since the officer could see bubbling and then asked for a plastic bag and vaseline to make a seal for the wound. I then think they were placed back into the pocket before the body was transported. Just me thinking...not etched in stone. Wherever the headphones were found, they were collected at the scene (p. 16). Items on Martin's person were collected after the ME team arrived. They probably made their own log, which gave you the impression the items weren't collected until the body was at the morgue. It seems possible that Martin was preparing for a physical altercation by stashing his earphone head set and prized button in his pocket before confronting Zimmerman, so they would not be damaged in the planned attack and probable scuffle. This also cast's further doubt on Dee Dee's original testimony. Apparently Coach Crump assumed the head set was still being worn at the time. "Next thing I hear is somebody pushing, and somebody pushed Trayvon because the head set just fell. I called him again, and he didn't answer the phone." The victim had $ 40.15 in US currency, a bag of skittles candy, a red 7-11 red lighter in his pockets, headphones next to him, and a photo pin on his sweatshirt. Most likely the reports saying it was in his pocket were mistaken, though it could be that Serino, who didn't arrive on the scene until after 7:40, incorrectly assumed the button had been removed from the hoodie. The location on the headphones is also difficult to determine, since they are listed as being in Martin's pockets, but in other places (such as the above statement), next to him. One (1) red "711" brand name lighter, photo button, bag of skittles, and headphones. and collected from with in the victim's pockets. It's repeated because copies of the witness list and property log were attached to all of Serino's reports, and some others. They aren't independent. They are just copies of the same, probably erroneous original. As noted elsewhere, there is a report from the scene that the button was 'on his sweatshirt', presumably meaning pinned to it. The photo button was, according to Serino, pinned to his hoodie. On page 20 . . .
That's Sgt. Leon Ciesla's report, on pp. 19-25. Serino's name is at the top of p. 20 because he was the lead investigator, but on p. 19 you can see Ciesla prepared the report. I made the same mistake, in several comments just after the discovery was released. Ciesla was on the scene when the evidence was collected, but it's not clear if he saw the button on the sweatshirt himself. The property inventory (p.7 of the evidence document), carelessly lists everything found on Martin's person as 'collected from with in[sic] the victim's pockets'. Sgt. Ciesla (p. 20) saw the button pinned on Martin's 'sweatshirt', but didn't specify inner or outer. I really want to see a picture of those. The earphones may have fallen from the body when it was rolled over. Testimony of those who worked the scene may, or may not, clear that up. Is it certain the W-4 and W-10 don't exist? Could they be potential witnesses who haven't been interviewed yet? If Dee Dee is telling the truth, there must be a corroborating witness, a friend who heard her story when it was fresh. If DeeDee tells someone what TM said and that person is called to interview, wouldn't that be considered hearsay, since TM is not the one doing the actual talking? They can testify to what DeeDee says she said but not TMs responses? Right? I am confuzzled to this. As I understand it, this kind of corroboration isn't hearsay because it isn't offered as independent confirmation of the facts. It's just to support the credibility of the witness. I know that alleged victims in sexual abuse cases are sometimes allowed to call such witnesses. I don't think it's limited to that, but I could be wrong. I expect a defense attorney to ask Dee Dee who she talked to before Crump. If she can't name a living soul, that's bad for her credibility. If she does, the defense can call the person for impeachment. As for Dee Dee testifying about what Martin told her, I think that will come in under Spontaneous Statement. I think the fact that Dee Dee didn't apparently go to the police once she heard Trayvon was dead undermines her credibility significantly. Even if she was too distraught, she must have told her mother that she was talking to Trayvon shortly before he was killed. Unfortunately, based on the nature of this case, if Dee Dee does report that she told friends I'm sure we'll here from a dozen that she told them just what she told Team Crump. to the general rule that hearsay isn't allowed. The exceptions vary somewhat between different jurisdictions. Under Florida rules of evidence, several that might allow DeeDee to testify to what Martin said are "spontaneous statement," "excited utterance," and "then-existing mental, emotional, or physical condition." I suspect the emphasis in the DeeDee interview on how scared Martin sounded may partly be an attempt to establish that his statements are excited utterances. Consistent with the declarant's testimony and is offered to rebut an express or implied charge against the declarant of improper influence, motive, or recent fabrication. Also, nomatterOnevermind is correct that Martin's statements would probably be admitted as spontaneous statements instead of excited utterances, since they were made while the events were occurring. that testimony concerning a witness's prior consistent statements is only permitted to "rebut an express or implied charge against the declarant of improper influence, motive, or recent fabrication." If the other side doesn't suggest the witness's testimony was recently invented or changed, no testimony about prior consistent statements is allowed. If the other side doesn't suggest the witness's testimony was recently invented or changed, no testimony about prior consistent statements is allowed. That would explain why such rebuttal witnesses aren't yet on the list. You write: T[rials] are merely a process for the testing of evidence, to determine if the state can carry its burden by proof beyond a reasonable doubt. Sorry if this is explained/discussed elsewhere, but perhaps you could explain where exactly the burden of proof falls in this trial? Zimmerman admits that he fired the gun that killed Trayvon, and that he fired the gun with the intention of shooting Trayvon. But whether he intended to kill him or defend himself is the trickier question. Self-defense is traditionally an affirmative defense, leaving the burden with the defendant, but does SYG change that? Sorry if I'm slightly off-topic...I thought the quoted sentence made it an appropriate question in this post. As I understand Florida law, a defendant has to make a prima facie case of self defense (which won't be hard here). Then the burden shifts to the prosecution to disprove the defense beyond a reasonable doubt. Jeralyn discussed this on an earlier thread. I wonder what sealing "The 911 telephone recording of the murder" is supposed to mean if they are talking about the one released long ago. They will hardly get that toothpaste back into the tube. So I wonder if that just an empty gesture or if there is another recording. It's in the crime scene photo. It's also probably a distraction to discuss - so I won't. There isn't much readable writing in the photo, but there is enough artwork that it can't really be anything else. the discovery provided by the state. I just reduced the size and uploaded it. I got it directly from the state's media website, not another media outlet. It's readily available though all over the internet. I didn't mean to doubt that. I just wanted to explain why I thought that the photo alone settles it and Photoshop doesn't seem likely. report innaccurate? It cites the Zimmerman's call being received at 7:11:12, when connection was actually established at 7:09:34.. This video raises the question, and this post suggests that the timeline is completely innaccurate. The consensus of the moment seems to be that 7:09:34 is correct. The later time is an error based on misinterpreting the phone logs. suggests that every single event (besides the log when Zimmerman is placed in custody) in the timeline is at least somewhat off. It shows that an article places the time of the first 9/11 call from a witness to be at 7:16:11 (though I'm not sure if that article had a legitimate source). If that was true, it is possible he made the same mistake (getting the time the call was connected and when it was logged mixed up) for that call as well. The post also argues that Smith didn't arrive on scene until closer to 7:19 based on his reading of Smith's narrative. Serino's report says he "arrived on scene" at 7:17:40.
after his call connected? Since it was the non-emergency number. That could explain the timeline in the investigators report. I didn't realize what you were asking at first. Yes, the timeline on p. 40 adds the times on Zimmerman's call to the inaccurate start time. Zimmerman said Martin was running at 2:07 on the call, 7:11:51 in real time, 7:13:19 on the inaccurate timeline. According to my notes, 7:16:11 is now the accepted time for the first 911 call. The p. 40 timeline says 7:16:43. 2:07 on the call is 7:11:41 in real time. 19:19:43 - Officer T. Smith locates and places Zimmerman in custody. If this is closer to what really happened then the time between the end of GZ's call and the first 9/11 call was 146 seconds, and not the 80 seconds that was indicated by Serino's report. Thanks for correcting my arithmetic. If this is closer to what really happened then the time between the end of GZ's call and the first 9/11 call was 146 seconds . . . I've been saying roughly that for a while. If Martin had gone home, he would have been there within a minute of Zimmerman losing sight of him, at least a minute before Zimmerman's police call ended, at least three minutes before the fight started. After Zimmerman got the address on Retreat View Circle, I think he waited there for a while, thinking the police might call any moment. After about a minute or more, he decided to go back to his car and drive around to the meeting place. GZ never returned to his vehicle. His wife moved it before the investigators knew it was there. So the idea that he was ever "returning to his vehicle" is speculative at best. He ran, walked or jogged away from it for 24 seconds, admitting that he was following the running-away teen, then spent the next 4-5 minutes NOT having returned to his vehicle. 7:12:02 Zimmerman says okay after dispatcher tells him "
we don't need you to do that". My own speculation is that GZ walked up north to the bend in RVC and looked back west to see if TM had run that way. Then, GZ walked back to the T in order to see if he had missed him the first time he passed by virtue of being distracted, having a non working black flashlight, being on the phone and unwilling to admit to the operator that he was still chasing the youth, and because GZ only looked down the dog walk area sidewalk south the first time he passed, and had not scanned the grassy areas well enough for a teen in a near-black hoodie. TM may have taken the shortest route to get behind the building, and quite possibly have waited out the time in John's backyard, speaking on the phone to a girl he's talked to all day long. Look at this picture of the dirt path that leads into the cut thru. GZ seems to have stayed to the sidewalks and pavement but TM would have already had wet feet from crossing the grass on his way back from 7Eleven, especially if he took the pedestrian path near the 1300 block of RVC, by Frank Taaffe's unit. He'd have no reluctance to take a path thru wet grass, whereas GZ would. And yes, TM had time to run home but we know for a fact that he did not. We can speculate that TM feared that if he continued south, the car could outpace him and the occupant could be waiting ahead of him in the darkness. Or, TM could have wanted to simply catch his breath after running. But we don't have to speculate. We do know two things - his phone rang right around then, and we know that DeeDee told investigators she spoke to TM who was out of breath, unsure if he was being followed (again) and scared, speaking in low tones. TM felt he was "close enough" to home not to have to run. He's been followed by a man with car and so he got off the roadway and went to a place where cars can't go. He thought he should have been safe there. Trayvon Martin was right in theory and so very, very wrong in practice. If GZ was "looking for a street sign" he never called one in. If he was "returning to his vehicle" he never got there. If he was planning on meeting the officers at a landmark or house number, he never called that in. If he wanted to meet officers by his truck, he failed to give the street number location, make model or color to operator. If he was searching for the youth, he found him like everyone who hunts something does, in the last place he looked. And so I ask the question, if a lab rat runs to the first dead end in a maze and then turns around, has he given up looking for the cheese? Martin had time to walk home, slowly, with more time to spare. We do know two things - his phone rang right around then . . .
We don't know that. Dee Dee told de la Rionda that the call drop and reconnect were earlier, before Martin started running. If GZ was "looking for a street sign" he never called one in. The agreement was that the police would call Zimmerman. This 'point' of yours has been shown to be wrong, you've never defended it, you keep repeating it. It's tiresome and does you no credit. Zimmerman had time to walk (slowly) to find a street sign (in his development with 3 streets) and return to his truck. it is a thread about what the witnesses and discovery say. Please put your speculations that come from your interpretations of all of the material you have read in another thread. Inferences here are permissible based on the witness statements and items in discovery, but not your conclusions gathered from whatever source. And please keep your comments to a reasonable length. Every time I ask you to do this, you comply for day or two and then revert back to posting article length treatises about your theories. Perhaps if you addressed one or two points in a comment rather than your entire theory, it would be less objectionable to me. Also, your charts and calculations are not evidence in the case. Please don't continually link to them. They may or may not be accurate and I have no intention of letting anyone use this site to promote their work published elsewhere. This isn't your blog, and comments are for responses to what I have written about. You may mean well, and our commenters may be more tuned in to case details than commenters at other blogs, but you are pushing GZ's guilt, which directly contravenes the purposes of this site. Please take a break and when you return, keep your comments to a reasonable number and limit and stop promoting the view that GZ is guilty. Your original blog post is teeming with speculation. There are several assumptions you make. Why then can no one else offer different scenario based on available evidence? I think he did a pretty solid job of showing problems with your scenario. You make a very important point - that both GZ and TM had enough time to get to where they each were prospectively going, but neither one did, and that was prior to any physical confrontation. That can only mean that GZ was actively looking/following TM. If TM was successful in throwing GZ off for a few minutes, it would be reasonable that he was waiting for a safe break for home, keeping in mind that he was aware of GZ watching/following him and could have confronted him much earlier if that was his intention. However, The gf's (Dee Dee) account of the phone call seems to corroborate enough with GZ's account and according that account, TM was clearly fearful, which then begs the question why GZ did NOT answer TM's question by identifying himself and telling TM why he was following him. IMO, that places culpability on the scuffle which escalated into an unarmed teenager being shot and killed. It seems to me that no one will ever know for sure how the altercation unfolded, who shoved who first, or whether TM knew prior to being shot that GZ was carrying a concealed gun. But what we can seem to piece to together based on the 911 calls and Dee Dee's account of the phone call, is that clearly GZ got out of his vehicle to look/follow TM, spend at least a couple of minutes searching and when the two finally came into contact, didn't identify himself as being on neighborhood watch. And a reasonable line can be drawn between those choices that GZ made that night and TM's death. I think it's also important to point out that some of the missing time was spent by the 911 callers noticing and observing what was happening that prompted them to call 911 and some little time actually making the call. Whatever happened must have happened fairly directly after Zimmerman hangs up from his own NEN call. My guesstimates could be off, but I think there is about a minute unaccounted for, after considering everything we know about. I wonder if O'Mara will depose him. I'm not sure what deposing Chad would accomplish, but if the prosecution is likely to call him I don't think they have a choice. If the state is going to say that Trayvon didn't make it home because he didn't have a key and the door was locked, then what Chad says about what, if anything, they normally did when they were alone and Trayvon left the house might be important. Dee Dee reports that Trayvon was right near the house and then two minutes later sees that Zimmerman is following him. Isn't the prosecution going to have to come up with some theory of why he didn't walk into the house? Based on Dee Dee's statement being lost isn't an option. She doesn't report that the door was locked and Trayvon didn't have a key, nor does she report that Trayvon told her he was scared of the alleged persuer knowing where he lives. Does anyone know why de la Rionda didn't do the type of examination of Dee Dee that he and the investigator did of John? I'm not sure what deposing Chad would accomplish . . . Probably nothing, but the only way to find out is to do it. The point of asking is to get answers. It seems pretty basic to me. I don't understand why people have such a problem with it. It seems like there is a lot of speculation on your part. We know that Zimmerman followed Martin, but it was only for a short amount of time until Zimmerman lost sight of him. We don't even know if Martin was aware that he was being followed. Based on Dee Dee's admittedly somewhat context and chronology free interview, Martin was quite close to the house and it was only two minutes later that he allegedly saw or inferred that someone was following him. And he had at least four minutes from the initial following to get home (and he took off in the direction of the house). speculation with links to his/her own work on another site. Willis' theory is that GZ is guilty. He/she uses known facts and interprets unknown facts in a way that supports his/her theory. Instead of analyzing the facts to arrive at a theory, he/she begins with a theory and then looks for facts to fit it. Willis' speculation is not fact and neither are his/her calculations. As I said at the end of this post, my goal here is to analyze the case in terms of what the state can and cannot prove with the publicly disclosed evidence available to it. Zimmerman is presumed innocent. The question is whether the state can prove him guilty -- which will require disproving he acted in self-defense beyond a reasonable doubt. ... because the more I see, the weaker the case seems. where the state argues that GZ's statement is evidence against him though not a confession per se. days? I'm reserving judgment until all the evidence is released, but I can't help but wonder if the State has something in his statements that is contrary to the physical evidence. I suppose anything that Zimmerman said that was mildly implausible could be considered incriminating. Ditto with anything that was mildly contradictory between statements. ...but it does not necessarily jive with sworn affidavit nor, more importantly, the tenor of testimony by Investigator Gilbreath at the bond hearing as to the extent of evidence the state actually had against Zimmerman. If the state actually had substantial proof from Zimmerman's statements, and this is just me, but I would have expected Gilbreath to expound somewhat on it there. He did not. I would guess that the state has some extrapolation and innuendo, but no "smoking guns". But with a heavy burden of proof to meet, it is simply hard to see how that is going to come close to cutting it. Chad saw nothing, heard nothing . . .
To the best of my knowledge, no one has asked him. DeeDee only knows what TM told her, and that seems to be that he was scared . . .
Martin clearly did not say that. In the de la Rionda interview. Dee Dee claimed to have inferred it. The affidavit says 'The witness advised that Martin was scared', not that Martin himself said so. If TM had been on the sidewalk that leads to his home, GZ could have spotted him easily. Martin might have concealed himself behind one of the partition fences. Probably he would have chosen one next to an unlighted house, whose occupants were likely out for the evening. I don't have time at this moment to listen to it carefully, but so far I can't understand a word of what DeeDee says. The sound quality is atrocious. A bit earlier, about 6:00, I could hear fragments of Dee Dee saying familiar things about Martin being 'pushed' because 'the headset just fell'. I've listened to the whole thing. Almost nothing of what Dee Dee said is intelligible. Much of what Crump said is clear, especially later in the recording. After eliciting Dee Dee's statement about 'the last thing you heard', Crump moved on to other matters. Was Martin scared? Did Martin recognize the man who followed him? Was Martin his 'normal self' during the day? Unlike de la Rionda, Crump didn't coax Dee Dee to admit she heard a little something more. I'm fairly sure the 'get off' claim will not be found on this recording. That blows Dee Dee's credibility out of the water. is out there somewhere. A small sample was released to CNNHLN and it was much clearer than that part in the link above. There are popping, beeping and static noises throughout the whole tape. I find it funny if this tape is actually the "affadavit" that they said "filled in the dots" of the case. the "get off" claim. She seemed to contradict herself on that point just in De La Rionda's interview. In that she tells De La Rionda that the last thing she heard was the headset hitting the grass, and then a few minutes later says she heard a "get off" and then says it was Trayvon's voice, and then De La Rionda asks her if it was crystal clear that she heard Trayvon say "get off". but if the timeline in Serino's report really is innaccurate and Zimmmerman's call started at 7:09:34, and the first 9/11 call was 07:16:11, then I find it tougher to reconcile with the reported times of the phone call with DeeDee. If that call started at 7:12 and ended at 7:16 then it started after Trayvon had started running the first time and ended at the very most 11 seconds before the first 9/11 call was received. I think it will be near impossible to clear this up until all of the phone records are released. I think the call from Dee Dee could have ended as much as a minute and 11 seconds before the first 911 call. the start and end times could have been as early as 07:11:01 and 07:15:01? I guess it would make at least a little more sense then, but I still want to see the official time logs. I think the start time would be 7:11:00-59, the end time 7:14:00-59. That would mean maximum time between Dee Dee's call ending and the first 911 would be a minute and 12 seconds. I was a second off before. If T-Mobile has records to the second, they would be illuminating. It's not clear if any more phone records will be publicly released. of DeeDee's call would make much more sense going along with the rest of the evidence. However, Team Crump specifically said 7:12 - 7:16.. It seems possible that they gave false start and end times to the media in order to go along with what they thought was the timeframe. They didn't "discover" DeeDee until after the police had released the audio of all the 9/11 calls, and I think it's possible that they would have had access to Serino's false timeline as well. Do we know the order in which the 911 calls were placed? We know the first two because the gunshot is audible, although in a redacted section of the second. The first call (W11) was 45 seconds before the gunshot. The second (W3) was 12 to 18 seconds before. I think Mary Cutcher's was the last. Cutcher (W-16) and Lamilla (W-5) thought the gunshot was 'kids, you know, playing with something,' and Lamilla went to investigate. That map is much clearer as to where the back gate is than in some of the other ones I have seen. I would argue that he would have had a better view whether someone was walking towards the back gate either from the end of RVC or the end of TT. He would have had a better view compared to down the sidewalk (which would have been very dark and only a view of TT) and a much better view than down TT. my comment was poorly worded. I meant to say that he would have had a better view from the RVC if someone else was walking towards the back gate than had he been standing at the sidewalk or the Twin Trees Lane. because the map was not of the back entrance but a handwritten one that had completely unsubtantiated and likely wrong placements of everything else. It's also by a completely biased site. Is there any known evidence for 2nd degree murder vs. manslaughter so far? I find it hard to believe that they charged him with that without at least token evidence. It seems as if the prosecution would need something new and different that goes beyond possible minor inconsistencies in Zimmerman's statements. I don't understand why people make much over this. A prosecutor has little if anything to lose by overcharging. The upside is looking tough and maybe intimidating a defendant into a plea. ...we could start with that it is unethical and malicious. You don't understand why that bothers people? Seriously? I understand people being bothered by it. I'm bothered by it. What I don't understand is people assuming that it isn't true. I think the governor of Florida chose a person he was confident would do what he wanted done. Can I imagine that the prosecutor charged him with more than she thinks will be successful in the end? Yes, easily. I have much more trouble imagining that she does so without being able to present any evidence at all, even if it is just a fig leaf. ...that figleaf then? Have you seen it? I certainly have not. It is extremely hard for me at this point to believe there is anywhere close to sufficient basis in "Zimmerman inconsistencies". There is an obligation to meet the elements of the crime charged in the charging document, and the affidavit in this case is patently laughable in regards to establishing "depraved mind". And the testimony of the state's lead investigator at the bond hearing did nothing whatsoever to dispel this deficiency. If this is an overcharge and if it goes to trial, does that automatically include lesser charges at the time of jury instructions? Can MOM fight to keep manslaughter or any lesser charges off of the table and press for only the Murder 2? There seems to be some consensus around the web that the overcharge is being used as a "bargaining chip" to get GZ to plead down. I just don't know why he would at this stage. With what we know now, it seems unlikely that a jury could convict beyond reasonable doubt. TO ME, he would have to be offered a very, very sweet deal to plead down on a charge that he clearly believes he didn't commit. And wouldn't the SAO take into consideration the input from TM's parents? I hardly think they would have a positive response to a deal of any kind. When my cousin was murdered, the DA did spend time with his parents regarding charges that were being brought against his assailant. If Zimmerman is convicted of manslaughter, there are sentence enhancements for using a gun and the victim being a minor. Letting him plead to manslaughter with a recommendation against the enhancements might be an attractive deal, if at some point O'Mara feels the case isn't going well. I think Corey's decision is more about PR than strategy. I don't find that O'Mara agrees with 100% of the state's motion, although that is the way that the press reports describe O'Mara's motion. I think O'Mara agrees with delay of public release of some evidence, but not with all items on the list the state recites in its motion. O'Mara is interested in protecting witness ID, email comments by non-witnesses to the police, and material in Zimmerman's statements that might be suppressible at trial. With respect to Zimmerman's statements, I see a remarkable difference between O'Mara's desire and the state's desire. O'Mara seems to be taking a precautionary route - not having seen the statements yet, he wants to review them to make sure none were involuntary admissions of wrongdoing. The state wants to prevent the publication of much more than this; and provides a novel legal theory in the fourth bullet point of numbered paragraph 20 to justify its request. The state argues that "confession" includes any statement that can be used against defendant. I would think that O'Mara has no objection to the results of the voice stress test being made public, even though the results aren't admissible. I would think O'Mara has no objection to the release of cell phone records, redacted to protect the identity of DeeDee and her parents, and phone numbers assigned "P#" similar to W#" used for witnesses. No point in protecting the ID of the Martins, who have already released parts of their phone records. I also don't think O'Mara would object to the statement of W9 (as to Zimmerman's racial bias against black people) being made public. a person who initially called anonymously to characterize Zimmerman as a racist? I would think if there was any way to keep it under wraps, that is what he would be inclined to do, at least until he can verify the truthfulness of the statement. On the other hand, if the state can only find one person in Sanford that thinks Zimmerman has shown racial bias towards black people, then there should be no shortage of witnesses for the defense who can potentially testify that they haven't seen him demonstrate racial bias. I just signed up after seeing how polite the discussion was here. I am a bit more right leaning but I have always looked at multiple sites to try and get to the truth or just to understand another's point of view. Too many other sites just get into yelling contests but it appears people here, and the originator, look at the facts and discuss them. That is good. My interest in this case originated because of self defense, conceal carry issues and Justice in general. I have seen excellent analysis, speculation and examination of what little evidence we have. Congratulations to Jeralyn for creating a left leaning blog that a right leaning guy likes. and don't hesitate to comment if you have something to say. There's all sorts of views here, and I do delete those with insults or demonstrably false info. I am not a lawyer but I would think that you would want as little evidence published before trial to prevent tainting the Jury Pool and some of the evidence may never make it to trial. You would not want something that hurts your case becoing common knowledge if it legally is not admissable. We are all curious but Justice is served when a fair trial occurs. "...you would want as little evidence published before trial to prevent tainting the Jury Pool ..."
I think that, as they say, "that ship done sailed". Martin noticed his gun, still under his waistband, and said to Zimmerman, "Now you are going to die" to Zimmerman and a struggle for possession of the gun happened. Susan over at viewfromll2 thinks that there is no indication that Zimmerman mentioned 2 in his police interviews. Also, the body was found far enough from the sidewalk that 1 isn't very persuasive. That might be devastating if true. Anybody know more? John says he saw them on the concrete. The body was rolled over to do CPR. I don't think John is much help here since he stopped watching around 30 seconds before the shot. It would be interesting to know how far the fight was from the concrete or utility cover before the shot. Zimmerman moved the body while getting up and the policeman giving CPR moved it while turning it over. Has anybody checked the first witness statements? In any case, the absence of an account of the struggle for the gun, just before the shot rang out in Zimmerman's 5 hour police interview would make this a whole new ballgame. The fight location he saw on the sidewalk was just a few seconds before he heard the 'rock hitting window'/gunshot sound as he was dialing 911. I remember him saying he turned around, locked his door and ran upstairs and while going upstairs he was dialing 911 and heard the shot. That is how I got 30 seconds and why I think the positions might have changed in the interval. John himself seems to be surprised at how far the body was from the point on the concrete at about 48 minutes into the Youtube video. Unfortunately we don't have John's sketches of the positions of Zimmerman and Martin that we heard him make during the second interview. Then we might have a better idea of how much Martin was moved from the concrete when he was flipped over. I think the fight over the gun is much more important in determining if the shooting was justified. It Martin really was trying to gain possession, it wouldn't make any difference even if Zimmerman wasn't injured at all. That is the interesting thing in a case like this. If the winner tells a coherent story, he probably walks. If Martin had survived and claimed that Zimmerman had threatened him with the gun from the start, he would probably be found not guilty. Aggravated assault and battery is a crime. A forcible felony in fact, which in and of itself justifies use of deadly force under FL SYG law in addition to threat of serious bodily harm. And John did not 'back off' MMA claims. He plainly states during the interview "I don't know if there were punches being thrown at this point or he was just holding him down, it really just happened so quick." Listen for yourself at around 25:00 in this compilation of witness 6 interviews. ... at the time of the shooting, or just at some point? Also, when did John say he saw them on the concrete? I may have missed it, but I didn't see that statement in the discovery. at about 26:12 in this posted compilation of the witness 6 interviews. Susan over at viewfromll2 thinks that there is no indication that Zimmerman mentioned 2 in his police interviews. It's in the NY Times report that Jeralyn discussed in an earlier post. And before he shot the youth, he explained to the police, Mr. Martin had reached for Mr. Zimmerman's gun. The NY Times, like most of the media, doesn't have a great track record. But if only the charging affidavit and bond hearing count as indications, we don't have much indication of anything Zimmerman is supposed to have said. Trees scenario (from the Timelines thread). I have a vague recollection of Witness #2 and will check that out.